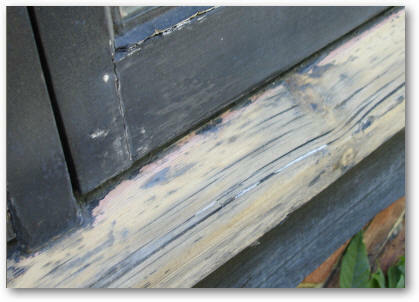 How do I stop paint on wooden window sills from flaking? 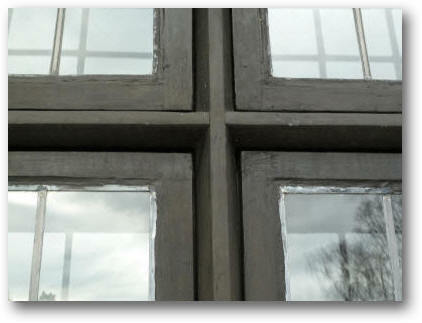 Do your windows look like this after a few years? 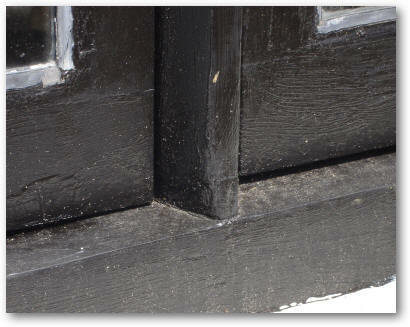 2010: How do I stop oak window frames and sills from flaking? As seemingly one of the few homeowners that has not replaced all the windows of our house to plastic, I have had a problem that I've had to live with for the last twenty five years - the paint on the windows on the south side of the house flake after a couple of years. I have tried every method I could think of to prevent this but nothing had worked. This not only made the house look tatty but also meant that every few years I had to strip the windows back to wood which made the job of painting long and complicated. I tried all sorts of paints and varnishes with no success. I never had any doubt as to the reason why paint flaked, as a look at the photo below will show. 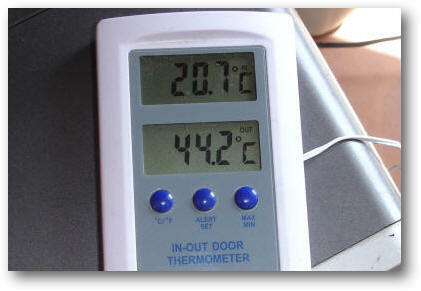 Even in early May when we started getting some hot weather, the temperature on the south facing wall reached 44 degree centigrade - I dread to think what this will get up to in the height of the summer! To be clear, I have no problems on new wood , solvent-based stain like Dulux's Woodsheen does not flake. All that happens is that the paint blooms over the years and instead of looking black it turns a light grey. 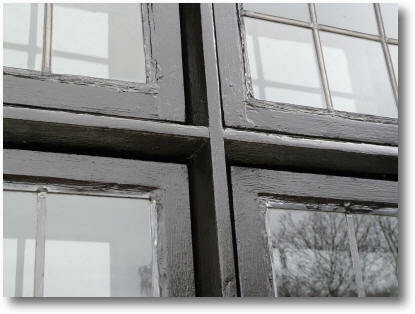 However, paint on any of the old casement window frames, that date from the 1930s, always flakes. 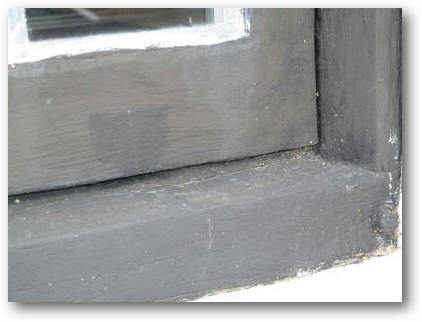 In particular, the oak window sills, that tend to crack, flake particularly badly as can be seen above. I needed a solution - now. Then one day, I came across Holkham Linseed Oil paints and it came like an answer to a prayer! To quote the web site: "Holkham Linseed Paints last up to 3 times longer than modern paints. Not only will the subtle paint colours decorate your woodwork beautifully, but the linseed oil in the paint gives protection and nourishment to the wood itself." What's so special about this paint? According to Holkham's web site, the use of linseed oil based paint was used extensively in the 18th and 19th centuries, but in the 20th century it was pretty much abandoned in favour of modern solvent based paints that we know today. There were several reasons for the abandonment of the use of linseed oil paint but the main one is that it takes 24 hours to dry which is much, much too long for a modern commercial painter. So much so, I have visited several specialist paint suppliers in my locality and not one of them had heard of linseed oil based paints! To quote the web site: "When a painter/decorator quotes to repaint the exterior joinery of a house, the cost of the paint is typically between 8% and 15% of the total cost. The rest is labour. It therefore pays to choose the right sort of paint so that you are not having the painters back again for costly repainting four or five years later." So, the main benefit of linseed oil paint is that it has a long life. This is because the oil soaks into the wood rather than just sitting on the surface of the wood ready to flake as a modern solvent based paint does. Up to three times longer life. Linseed oil paint can be painted over linseed oil putty before it the putty has dried. 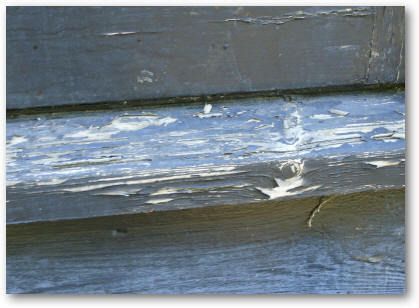 This is really useful when using putty to fill cracks in wooden sills (see below). Brushes can be cleaned in linseed oil - no paint thinner is required. Finally, linseed oil paint can always be applied on top of previous coats of linseed oil paint without difficult and expensive paint removal. If you want to know more, take a look at Holkham's How to use page. Step #1: stripping the old paint. This is pretty straightforward and consists of using a heat gun and a paint scraper. 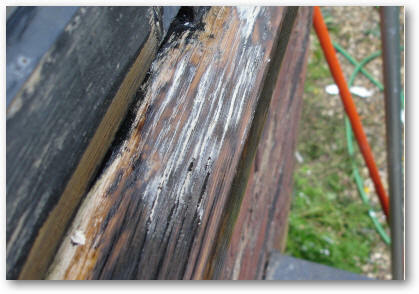 Once the paint has been removed use a sander to create a smooth surface and remove the last flakes of paint. 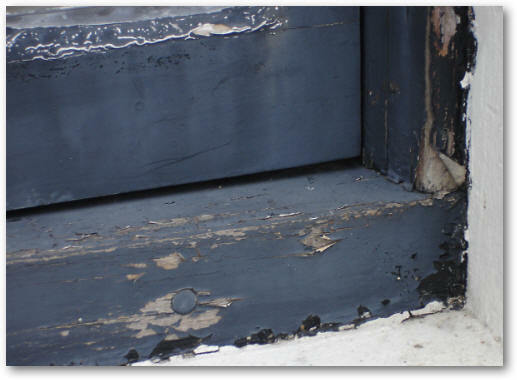 This now shows up one of the main causes of flaking - cracks in the sill. This usually much worse in in oak sills than softwood sill. The next step is paint the sills in raw boiled linseed oil. Step #2: preparing the bare wood. Now we need to prepare the bare sanded wood. 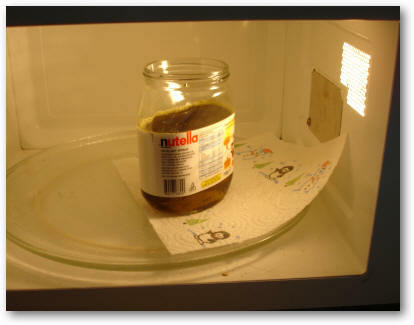 Take some raw linseed oil bought from your local do-it-yourself shop and heat it up in a microwave oven to a temperature of about 60 degrees centigrade. The reason for doing this is to thin the linseed oil so that it soaks into the bare wood much quicker. Now brush on several coats of heated linseed oil. Each coat will soak into the bare wood and you can really now begin to see why the use of linseed oil based paint is so different to the use of solvent based paint. What do we do about all those cracks? Simple! Fill them with linseed oil based putty. 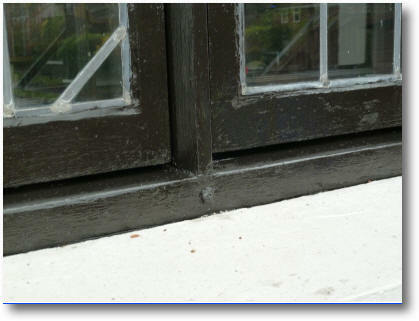 Painting the sills with with linseed oil beforehand means that the process of filling the cracks is quite easy as the putty does not dry out while filling the cracks. When done, use a scraper to smooth the surface of the sills and frames. It's beginning to look like a new sill now! Now apply two coats of the appropriate colour of Holkham linseed oil paint. I found two coats sufficient as the paint itself is quite thick but if it soaks in, then apply a further coat. Here is a finished window sill, albeit now covered in dirt and dust due to rain! Now that I have finished the windows all I have to do is wait and see whether linseed oil paint works as good as is claimed. However, I am in no doubt! Moreover, I can easily refresh them with a wipe of linseed oil at any time. The cost of Holkham linseed oil paint is quite high when compared to ordinary paint but if it lasts as long as predicted it'll be worth every pound. It's always nice to discover something new. Follow up - March 2011! Well, it doesn't seem like it but the above painting took place in May 2008, so I guess you would like to know how it has worked after three years? Well, I'm pleased to say - very well indeed! 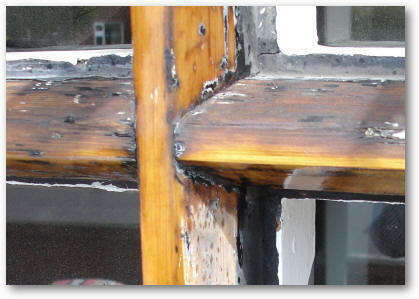 As can be seen in the photos below, the window frames and sills have not flaked at all over two or three summers. The only thing that has happened is that the gloss has gone. I decided in March 2011 to 'feed' them again. The question was whether to use the original black linseed oil based paint or just ordinary boiled linseed oil? I decided on the latter and it only took several hours and a 4 pound (money) bottle of oil to achieve the following effect. As you can see. the black has deepened and there is now they have a gloss finish again. The windows after a quick paint of simple boiled linseed oil. Maybe the next time I do it, I'll use the black linseed oil paint rather than simple linseed oil. Either way, I'm very happy! 2014: I'm just about to undertake a refresh of the paint even though it looks as good as new with NO FLAKING. The only thing is that it has lost its gloss finish! 2018: The windows look as good as new after 12 years though the paint has lost its gloss. I have given them a coat of clear boiled linseed oil once or twice since. Please let me know of any more you might know of.